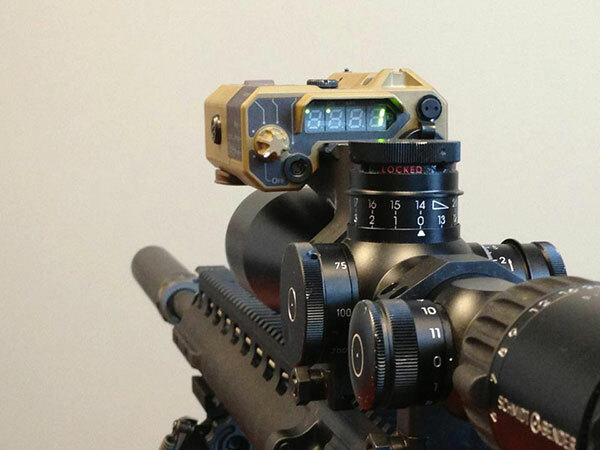 Remote Control Pad allows operator to activate selected laser and to range and engage targets. A Laser/Input Button allows the operator to lase the target in IR or VIS mode, or to input menu options in any menu selection mode. A mode selection knob allows the user to select from eight possible modes of operation: Off , IR Laser, IR Flood, IR Dual, Function, VIS Laser, VIS Flash, and VIS Dual. Ergonomically positioned LED panel displays range to target in 1 meter increments. 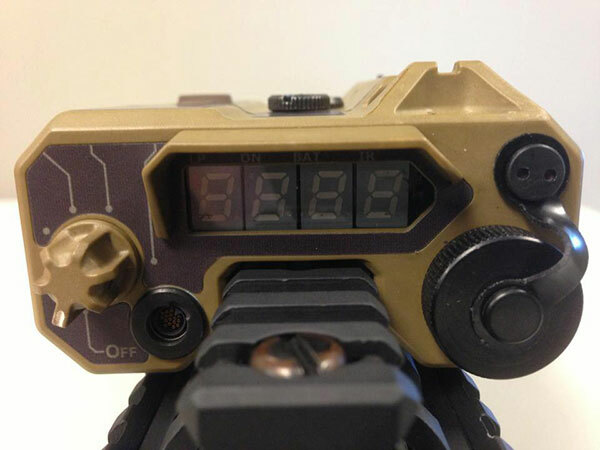 Front and Rear Iron Sights provide visual alignment for handheld Range Finder use. Focus Wheel allows the operator to change the IR illuminator from fl ood to spot. A battery compartment with water resistant cap stores one 3V CR123 battery. 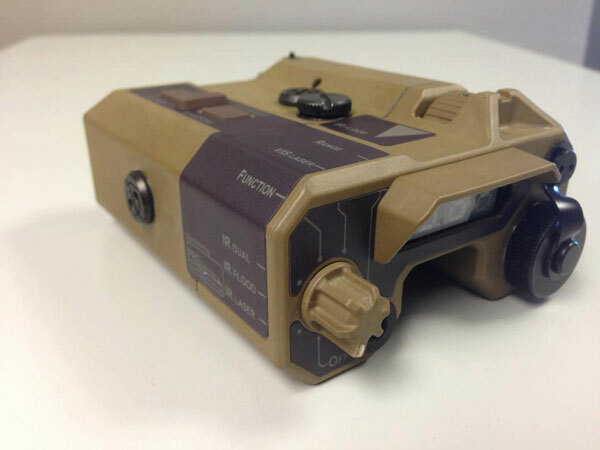 RAPTAR-ES™ is comparable in size to the AN/PEQ-15 with only a slight increase in weight but with the additional feature of a Laser Range Finder. Dimensions (DxWxH): 4.25" x 3.19" x 1.75"